Island Conservation becomes the newest members of the Global Island Partnership and to help build resilient and sustainable island communities. The Global Island Partnership (GLISPA) was created in 2006 by the United Nations Conference on Biological Diversity to catalyze funding for island actions to promote sustainability and conservation on islands. Now, Island Conservation is joining more than 30 other members including Conservation International, The Global Environment Fund, the International Union for the Conservation of Nature, and many more. For almost 25 years, Island Conservation has been dedicated to preventing extinctions of island species by removing invasive species. Today with support from partners like the Global Island Partnership, we are able to continue our work and try to find innovative solutions to the conservation challenges that lay ahead. 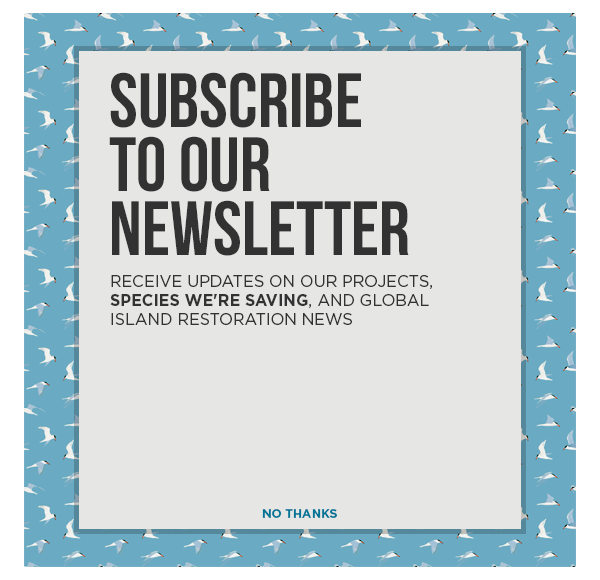 In partnership with the Global Island Partnership, Island Conservation will continue to work to increase the scope, scale, and pace of invasive species eradications on islands. Together, we hope to find innovative solutions that can help with larger, more complex projects and demonstrate how the removal of invasive species from islands contributes to achieving Aichi Biodiversity targets and to achieving UN Sustainable Development Goals.